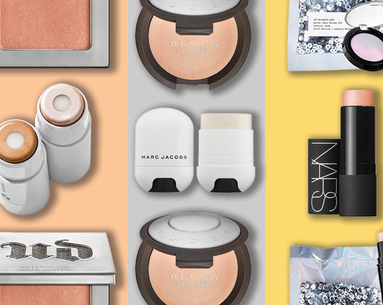 Just because we’re beauty editors, doesn’t mean that we’re experts at applying every type of makeup out there. Take contouring for example. 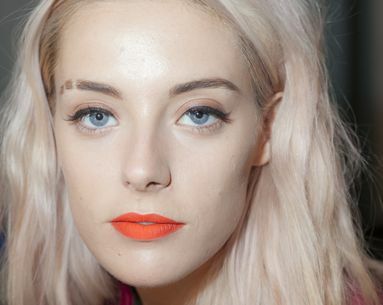 The trend, which has literally swept the country, can do wonders for your features. But, if you don’t know how to do it correctly, it can turn into a mess of epic porportions. 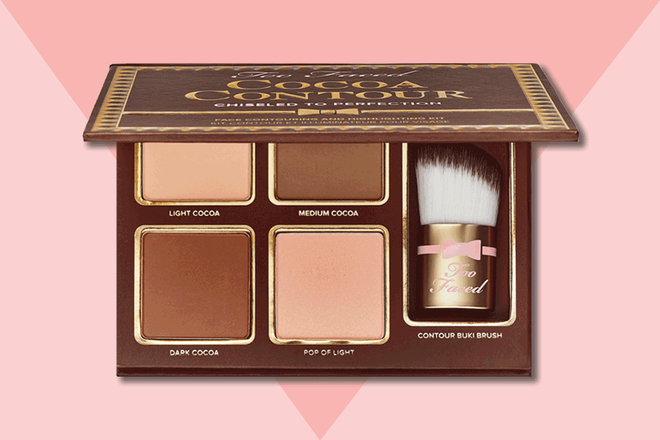 To see how seven beauty editors would fare with a powder contouring kit, we put Too Faced Cocoa Contour ($40) to the test. Here’s what happened. 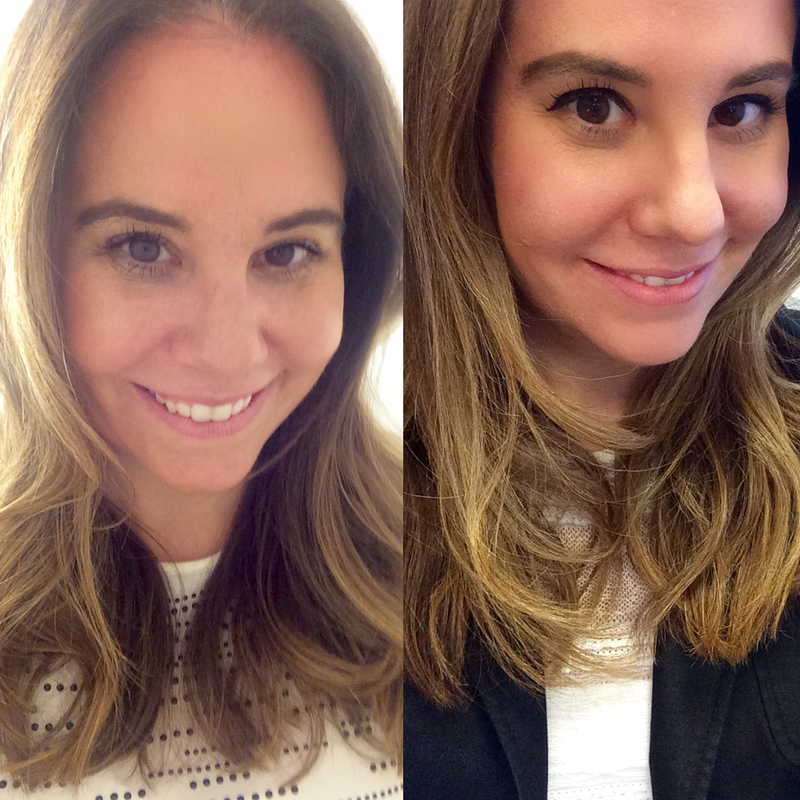 "These pics aren't the best indication of an accurate before-and-after because they were done in incredibly different lighting, but I left the house this morning looking really tired and wearing only tinted sunscreen. 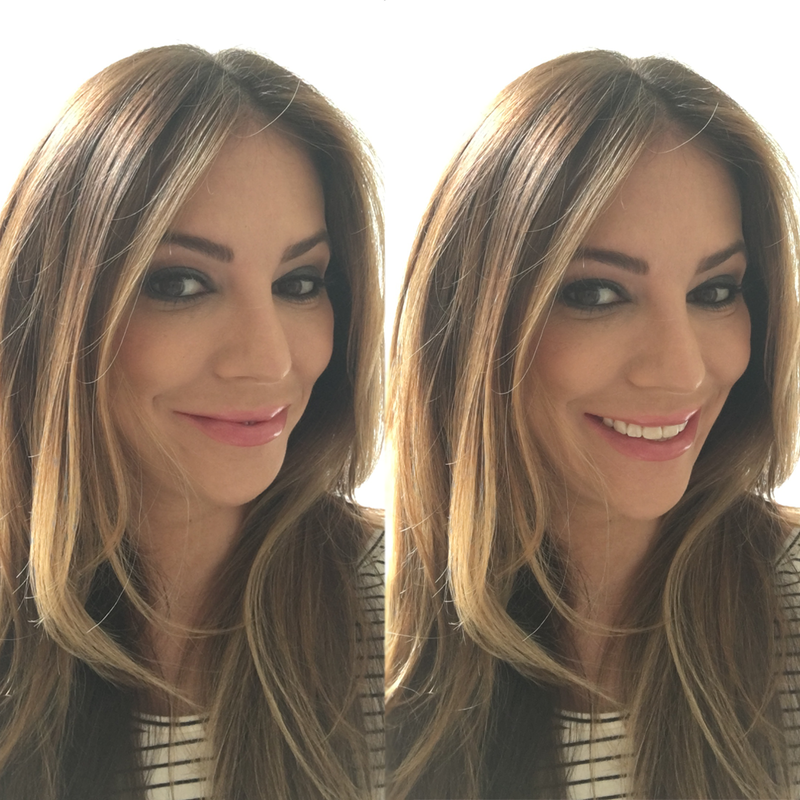 Fast-forward to 6 p.m.: I had to go out after work, so some makeup magic was in order. I don't think I nailed this kit as well as more skilled makeup gurus could do it, but it was definitely easy to follow, and even when I messed up, it gave some really believable-looking bronze. 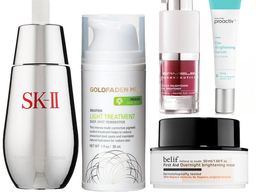 The best part: The lighter colors weren't in-your-face sparkly or shiny and really touched-up oilier spots." 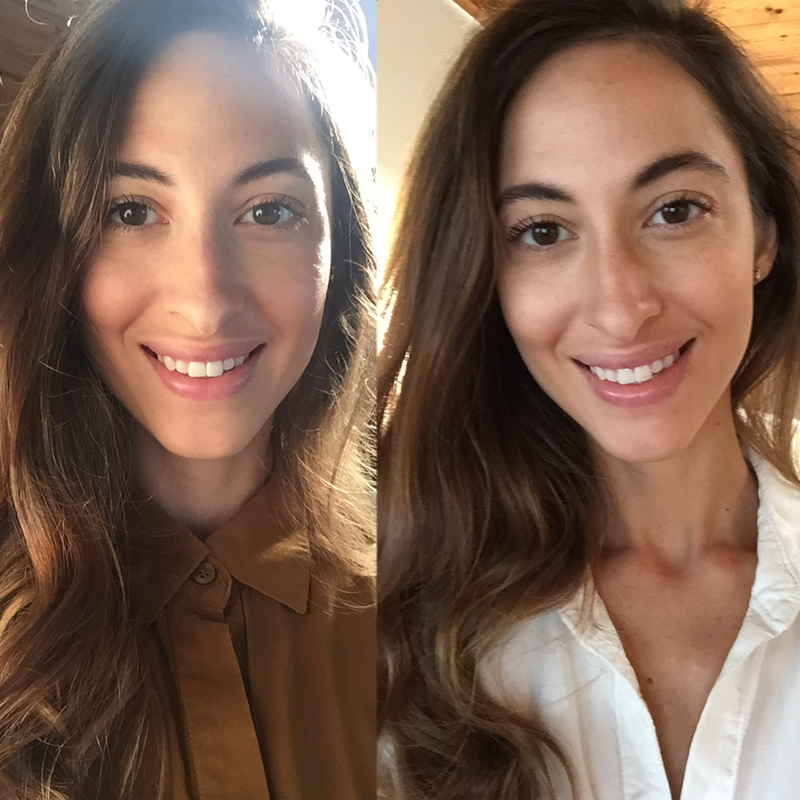 "I liked the glow and faux tan it gave my skin although the overall difference in contour was minimal. I have a defined jaw and pronounced cheekbones, so I didn’t need much contouring there, but I did get somewhat of a slimming effect on my nose. The one critique I have is the brush, which wasn’t as dense as I’d like it to be to contour my nose the right way. I ended up just using my finger." 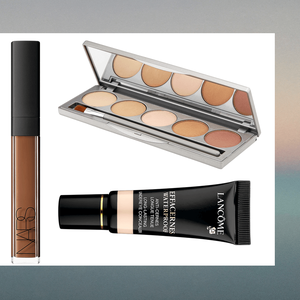 "This palette was so easy to use; it has everything I need to get the job done. 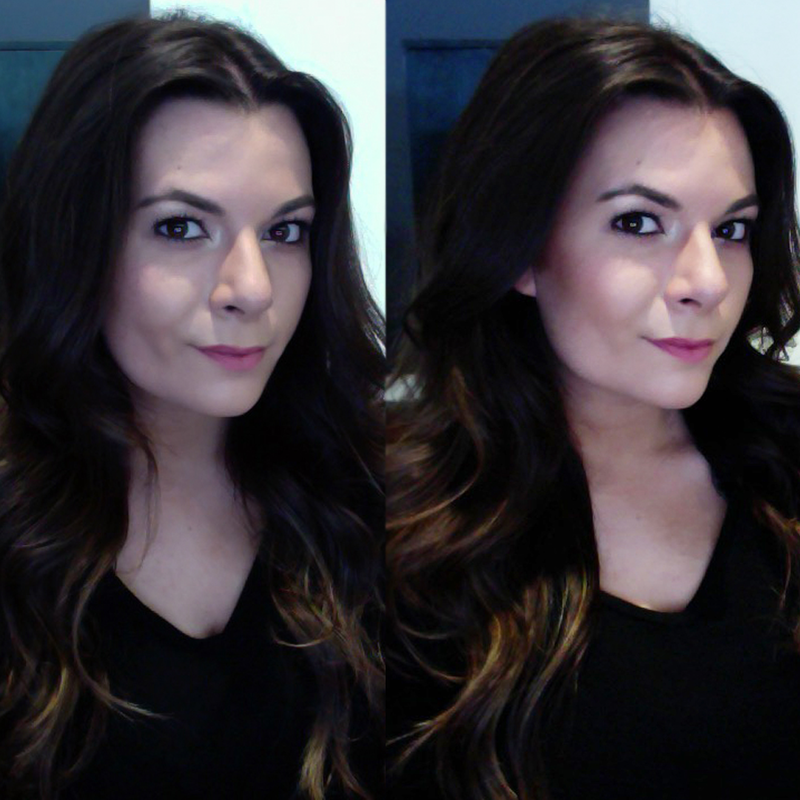 I wish the lighting in my after photo showed how much more contoured my cheeks were after I applied it. 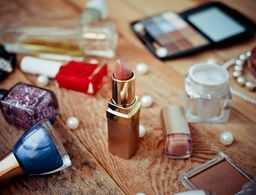 I found the powders to be silky, pigmented and totally blendable. The standout for me is the medium cocoa shade—a muted, medium brown that blended really well with my skin tone and looked more like a shadow falling across my face. 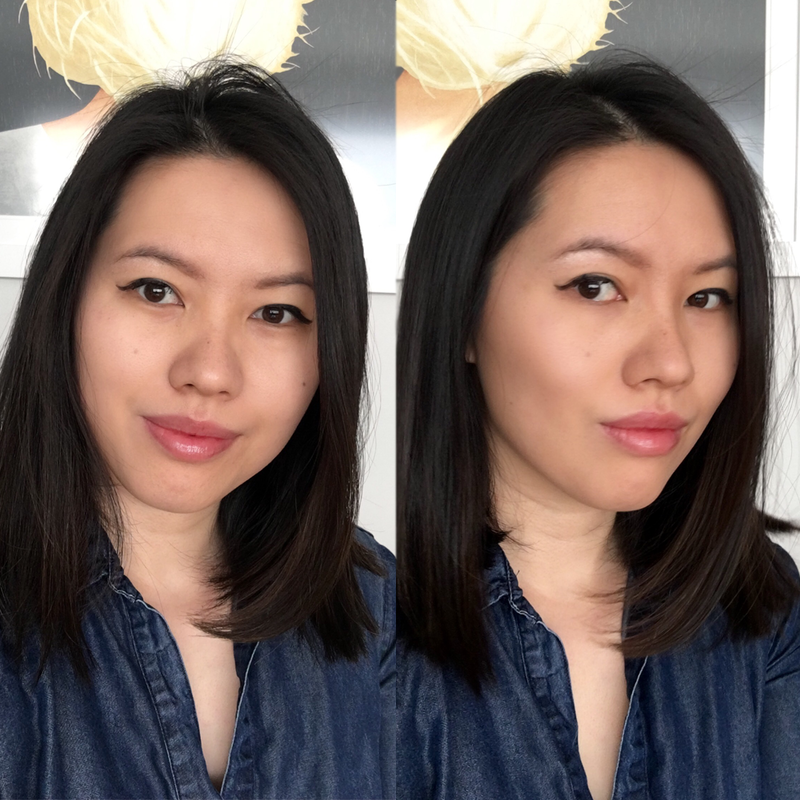 The angled kabuki brush was easy to use and although it's not as dense as my usual contouring brush, I still was able to use it to sculpt and shape my cheeks, jawline and even my nose. For someone on the go, it's handy to have that little brush inside the palette. My favorite thing about this is its delicious chocolate scent. Who doesn’t want to smell good enough to eat?" "What I loved most about this palette was how it smelled—if it's chocolate-related, you can count me as a fan. The makeup itself blended nicely, but the brush was a little flimsy so I had to use a different contouring brush, and the highlighter was more shimmery than I'm used to. 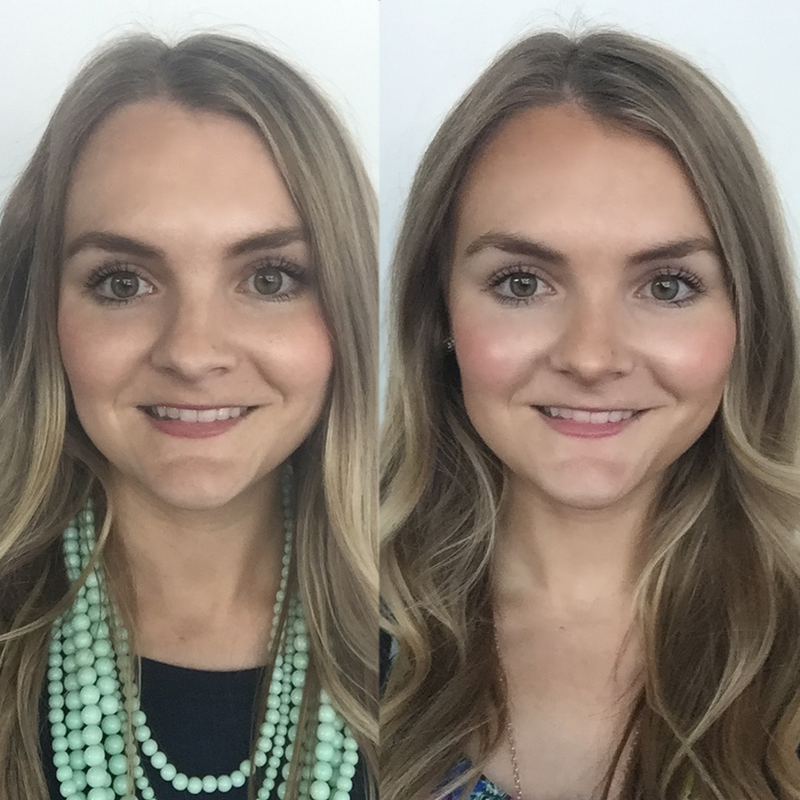 I don't see a huge difference in my before-and-after pictures, but I'm admittedly new to contouring, so I'm looking forward to trying it again." 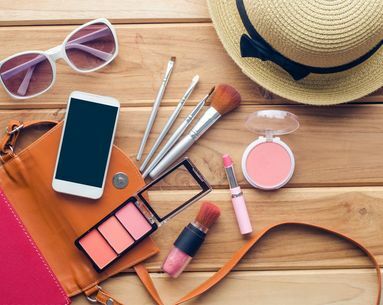 "On the scale of contouring newbie to pro, I’m far far on the left in “do not even attempt to DIY” land. So naturally, I was a bit apprehensive when I was asked to give this palette a whirl. I was happy to find a full instruction kit once I opened the box with a face map that’s pretty hard to mess up. I chose to go for the medium level contour—Skinny Sculpt (I mean, with a name like that, how can you not?). My first reaction to the product was the actual cocoa smell, which I found a bit distracting because I don’t like putting fragranced items on my face. Once I got over that, getting the individual colors onto the right part of the face was pretty easy. The brush was fluffy and soft and did a great job of depositing the pigment onto my skin. It wasn’t the best blending brush, however, so I recommend having a backup blending brush on hand. 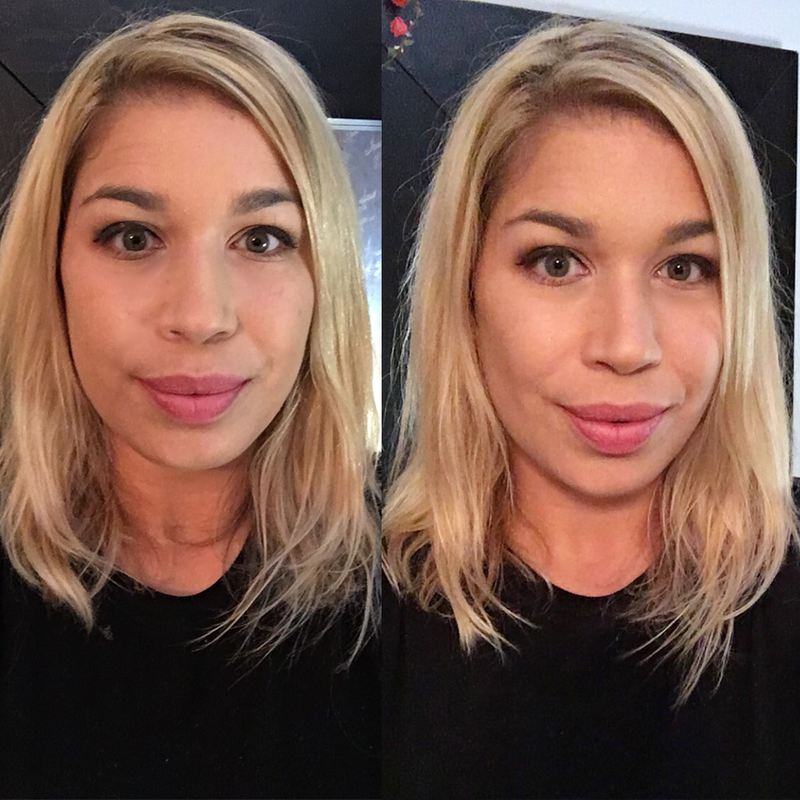 I ended up being pleasantly surprised at how good the after effect looked, even on my first attempt! I substituted using the Dark Cocoa with the Medium Cocoa shade in the palette and the color actually ended up looking pretty natural on my light skin. In my after picture, I look like I’m pouting—but I’m not! It’s just the illusion of a more sculpted face and the sudden appearance of cheekbones. This one is a winner in my book!"